Chirp, Chirp, We Have Lots to Share! Retreats in The Nest Retreat Center are for dedicating time to getting projects done (and lots of required laughing and chatting). 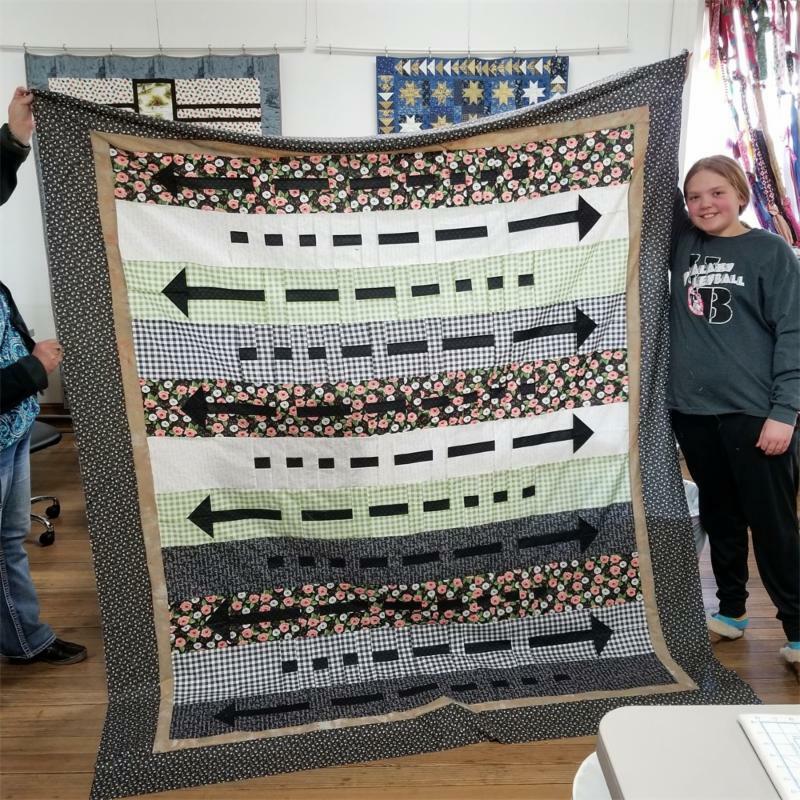 My daughter Virginia, left, was able to complete this quilt top during our last weekend Come Create with Me Retreat. You should think about joining us each month for our day retreats or in June for our next weekend retreat and see what you can get done. Decorate your springtime table with this adorable and SIMPLE Easy Striped Table runner. We've got the fabric packaged up for you. 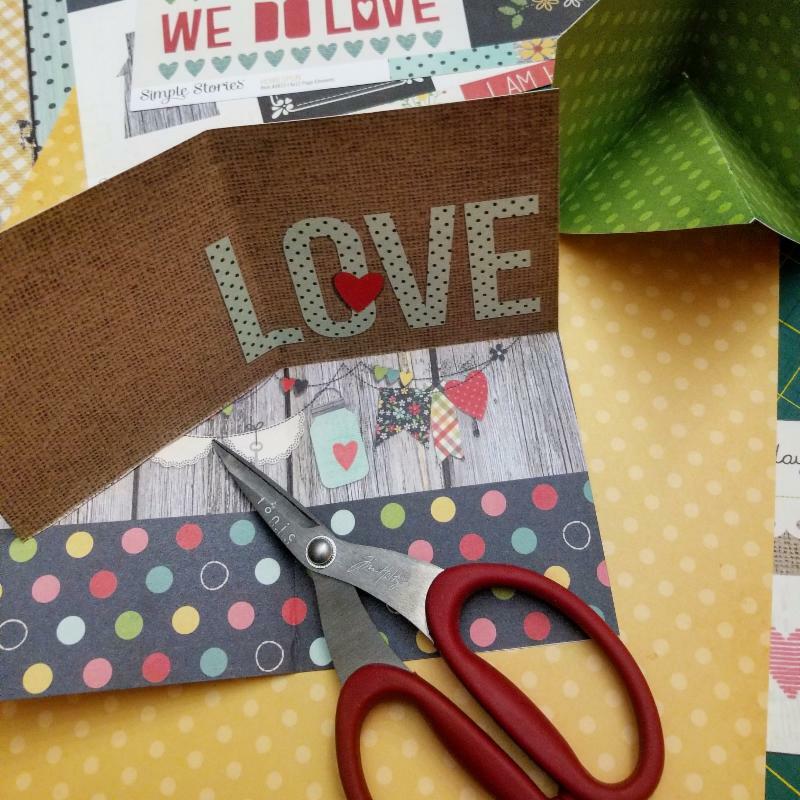 Once you make one, you'll be making them for all seasons, including summer, fall, and winter. And even more! 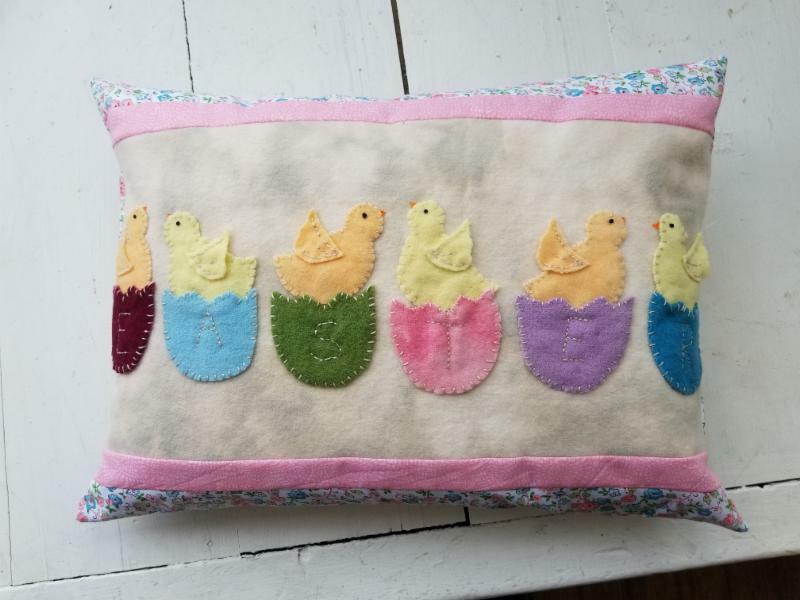 Easter Peeps is a simple pattern from Bunny Hill Designs that will add a little holiday decor. We've packaged up the wool for you. Then you can decide if it should be finished as a pillow or framed. All a Flutter, a new fabric collection from QT Fabrics arrived this week and we're in love with the fresh, bright flowers. We've kitted two options for you--the sweet table runner above or a lap size quilt. Grab your kit and starting blossoming with spring colors! Easter baskets are going to need to be filled for your kids and grandkids, and we are always looking for something non-chocolate right? 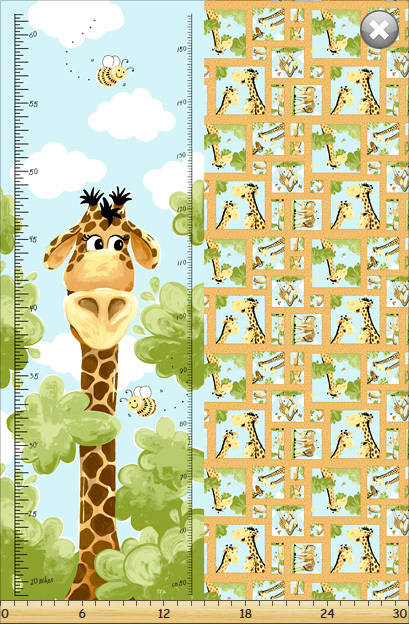 We'll at Hen & Chicks Studio we've got a great assortment of fabric book ( like this one) for little ones and fabric growth charts for those old enough to stand. 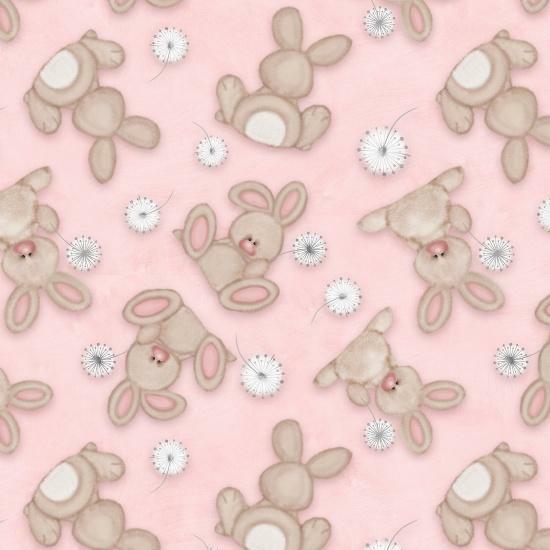 Our flannel collection has a nice assortment of bunnies and turtles and Pete the Cat that the kids like. 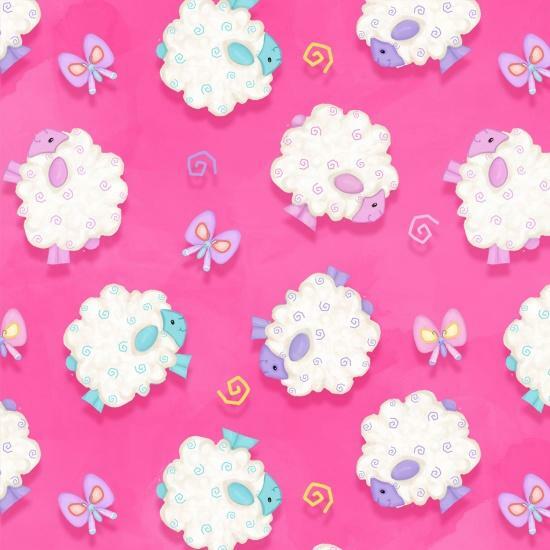 And whether you want to make a receiving blanket using our FREE pattern for the newest member of your family or pick an easy throw to make, our staff is ready to help you pick out those fabrics. Meet Others Who Are Creative--Just Like You! Our closed Facebook Group is off to a great start. 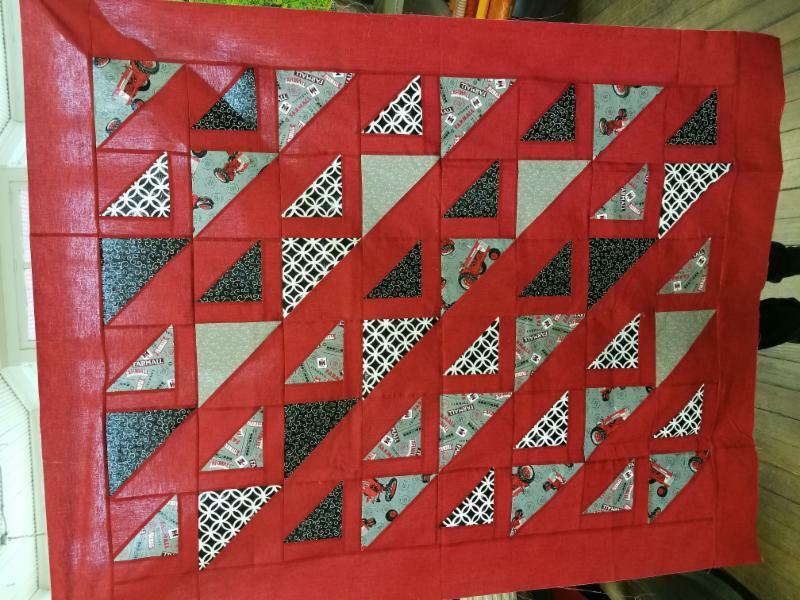 We've already seen lots of beautiful quilts, I've given away some fabric, and members have been asked for their thoughts on upcoming events. Ask to join in...we'd love to have you in our group. Did I get your attention? 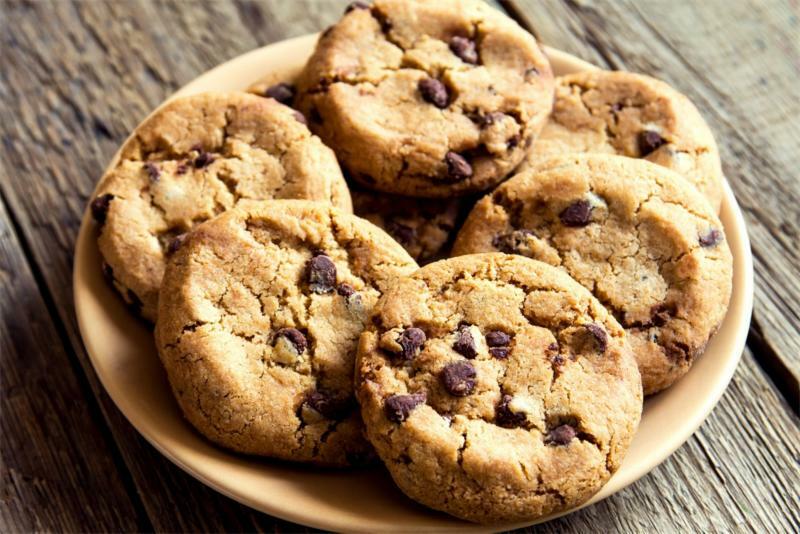 Click the button below to find my favorite chocolate chip recipe and more! Working with wool is so much fun! We've had author and wool-creator Roseann Kermes here at Hen & Chicks Studio in the past. She hosts an online community for WOOL WORKERS (click to join the group!) and we're excited to be hosting a WOOL WORKERS Meet-up and Retreat here on June 2. We'd love anyone who loves wool to join us. For a little side wool humor, I must share that we raise sheep on our farm. This week on our Hen & Chicks Studio FACEBOOK page I posted a picture of Z40, a favorite ewe and asked for you to provide the captions...the fun is still going on, so be sure to stop by and add your caption. 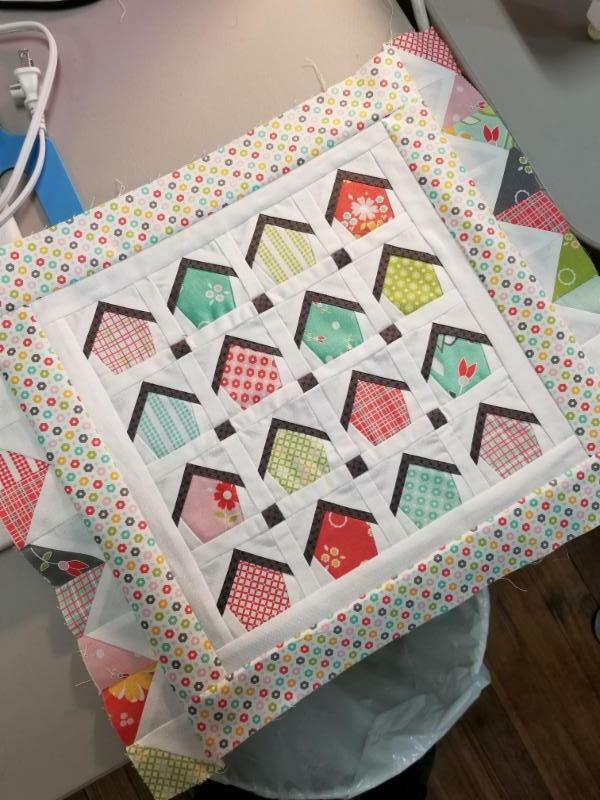 Melissa had fun at our retreat showing her finished tops, including this adorable one using a pattern from Graphic Mixx. Pam worked steadily on her paper-pieced bird houses! 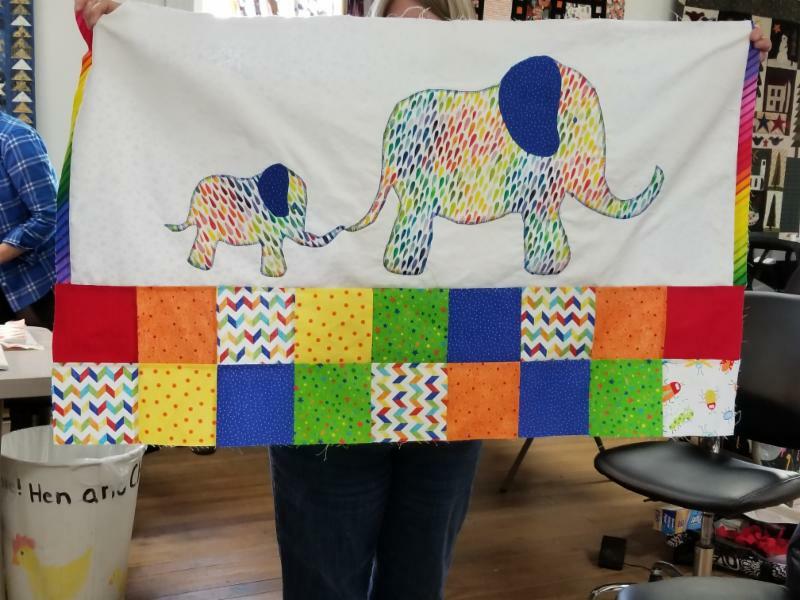 Denise made us laugh with her as she overcame a few challenges in completing her appliqued elephant!